4 Pair or only 2? The above picture came from a recent visit to an undisclosed school district. What you are looking at are perfectly good Cat5 Cables and RJ-45 jacks where 2 pair of wires were cut back at the patch panel and the remaining 2 pair of wires were terminated in the jacks. Why would anyone do such a thing, you ask? Apparently because the installer couldn’t imagine a world where anyone would ever need to use more than 2 pairs or go faster than 100Mbps. I guess Gigabit and PoE were just inklings of someone’s imagination when these cables were installed but still, I’m thinking it would have taken just as much time to terminate the extra 2 pair than to carefully cut them back from the end of the cables. Upon trying to run Gigabit and PoE over the existing cables, the district’s newly hired IT guy discovered the problem and has had to go back, cut the cables from the patch panels and re-terminate them properly using all four pairs. For both sides of each cable run. Makes me want to go check all my patch panels. Immediately. There is something to be said for thinking ahead. Just because we don’t see a use for something now, doesn’t mean down the road it won’t come in handy for some unforeseen purpose. 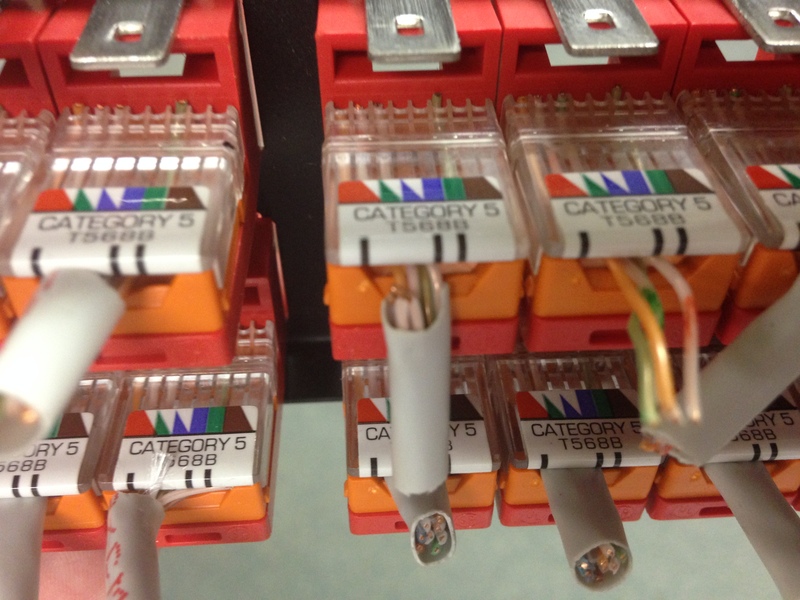 I’m thinking about that second Cat6a cable we’re running to every classroom. Who knows when 10Gb to the classroom will be needed. I’ll put this one in the “hope to never run into this in my district” category. ← How Many Days Out Of The Classroom Is Too Many?